Wow…I never thought I’d get annoyed by something somebody else said about asthma. I read a blog post that I randomly came across where somebody was talking about people who let asthma get in the way of their life. People who ask others not to smoke around them, or don’t join in things because they are asthmatic. The blogger said that they’ve never done any of that, and wouldn’t let asthma take over like that, however they also said that they sometimes forget they have asthma, to the point of forgetting to take meds for it regularly. I’m sorry but I did not let asthma do anything to my life. I didn’t let it come back into my life 2 years ago and just take over everything. I don’t let asthma stop me joining in different activities. I don’t give asthma permission to effect my work, or my social life. I don’t let asthma do anything, it does it anyway, whether I let it or not. It came back without me wanting it, it’s hospitalised me so many times even though I’ve fought hard against it. I don’t join in some things, or make other decisions because I want to stay in control, I don’t want to get sick. I would love to forget for a day that I have asthma, forget to take meds and have no consequences from it. I’m sure a lot of people would agree with me! 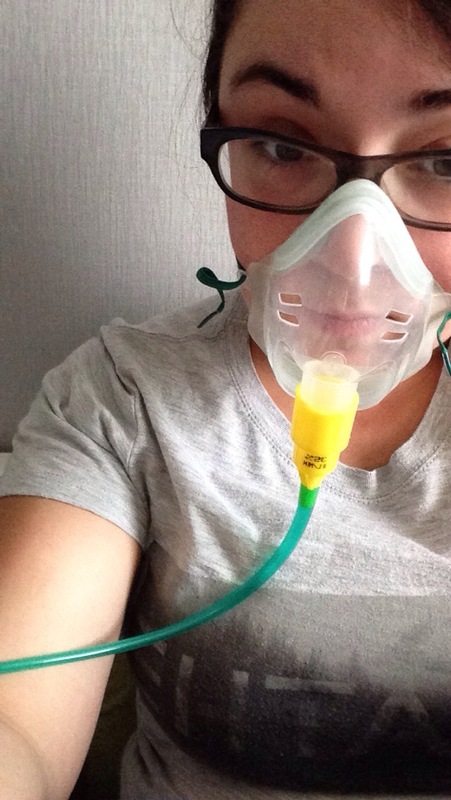 I did not let asthma take over my life. But it has. And there’s nothing I can do about that. So who else is really struggling with this weather?! Hayfever has all but killed me for the last few days, constantly sneezing and wheezing, eyes streaming, headaches, blocked nose, just feeling generally worn out. And then it’s kind enough to even set my asthma off. Because I wasn’t suffering enough! It’s like I’m never happy with the weather. In the winter I catch every cough, cold and infection going round and I say I hate the cold, wet weather. In summer hayfever destroys any chance of enjoying your day, the heat has made it impossible to go out and yet I’m somehow still having trouble. The storms that come along to cool the weather off just don’t help either. I can’t win! Currently spending my days checking my ever lowering peak flow, puffing away on my inhalers, spending every spare chance I get just lying down to reserve energy, and using my heliox to try and breathe easy for a little while. Let’s hope we start getting some normal British weather soon so I can get back to normal and get back to work next week as planned! Good luck everyone who is suffering along with me, stay well!